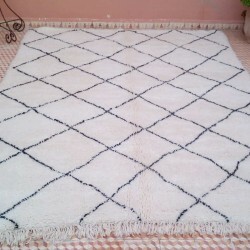 Morocco Beni Ouarain rugs are one of the most popular in rugs in Morocco. 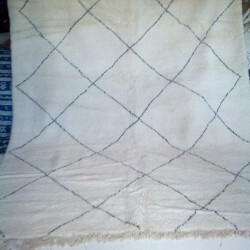 Tribal Beni Ouarain rugs come from the Moroccan Atlas Mountains. They are all hand made and home loomed in many Berber villages and sold in the famous market place of rugs of Marrakesh in Southern Morocco. Large Berber Beni Ouarain rug of Morocco with large sizes. 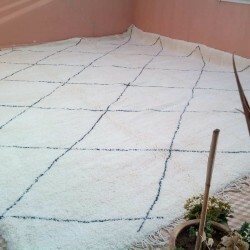 A Beni Ouarain rug of more than fifteen square meters with its measurements of 300 x 300 cm. 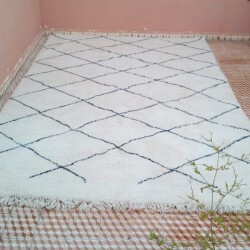 Home-made Morocco Berber Beni Ouarain rug 450 x 325 cm. The tradition of Berber Beni Ouarain women. 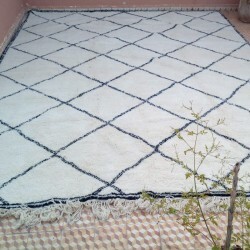 Home-made Morocco Berber Beni Ouarain rug 380 x 245 cm. The tradition of Berber Beni Ouarain women. 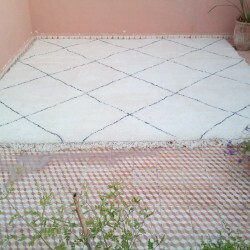 Home-made Morocco Berber Beni Ouarain rug 400 x 320 cm. The tradition of Beni Ouarain women. 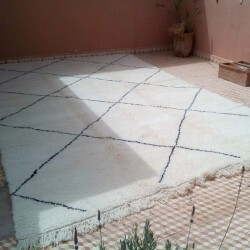 Large Beni Ouarain rug 340 x 370 cm home made in a small village in the Middle-Atlas mountains in Morocco. 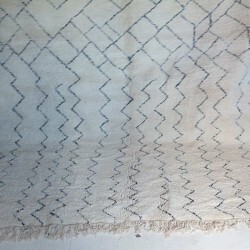 A legendary Berber woollen rug. 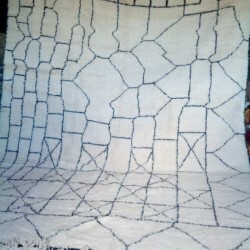 Black and white Beni Ouarain rug hand made in Morocco 270 x 415 cm. 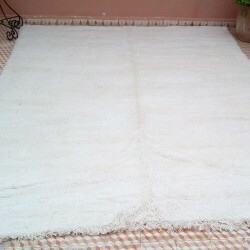 Large Morocco woollen Beni Ouarain rug of 500 x 400 cm home made in the Middle Atlas mountains. 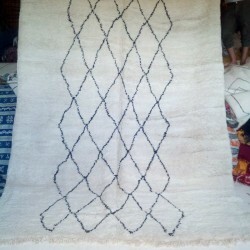 A Berber rug of high quality hand made by Berber women. 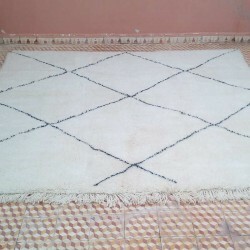 Traditional Berber Knotted Beni Ouarain rug of Morocco 250 x 350 cm 100% natural wool.